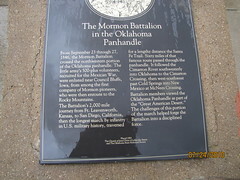 From September 23 through 27, 1846, the Mormon Battalion crossed the northwestern portion of the Oklahoma Panhandle. 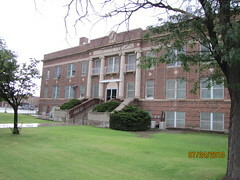 The little army's 500-plus volunteers, recruited for the Mexican War, were enlisted near Council Bluffs, Iowa, from among the first company of Mormon pioneers, who were then en-route to the Rocky Mountains. The Battalion's 2,000 mile journey from Ft. Leavenworth, Kansas, to San Diego, California, then the longest march by infantry in U.S. military history, traversed for a lengthy distance the Santa Fe Trail. 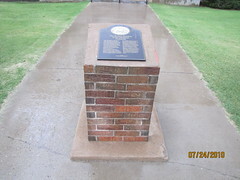 Sixty miles of that famous route passed through the Panhandle. 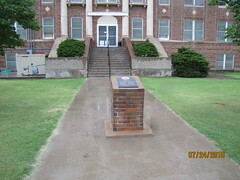 It followed the Cimarron River southwesterly into Oklahoma to the Cimarron Crossing, then west-southwest past Cold Springs into New Mexico at McNees Crossing. 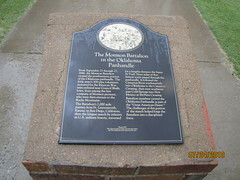 Battalion members viewed the Oklahoma Panhandle as part of the "Great American Desert." The challenges of this portion of the march helped forge the Battalion into a disciplined force.